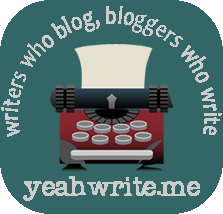 This July, I intended to join yeah write’s 31 dbbb (days to better blogging), which is based upon Darren Rowse’s 31 Days to Build a Better Blog. But as fate would have it, life kicked in and got in the way of writing (again). Anyway, there’s such a thing as catching up, which is what I’m trying to do with this blog post. Our first task was to install a stats tracker on our blog. Why? yeah write’s editors explain: “It’s a good way to know how your readers are responding to each improvement to your blog along the way. Are they staying to read? Are they jumping ship in the first 30 seconds? What search engine terms are they using to find you?” They recommend Google Analytics and Clicky. I chose Clicky simply because it was easier to install. and making our blogs mobile-friendly. I will try to do those tasks in the coming days. Although you may not be participating in this blogging challenge, you may want to try to do the work with us and see how it will improve your blogging experience.